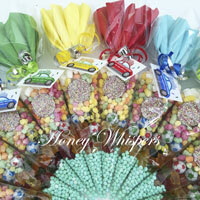 Honey Whispers fun-filled Children's Sweet Cone Party Favours. Organza filled bags, sweet box gift's, party bags and sweet cups. Honey Whispers sweet cone party favours for children's parties have a selection of 5-6 layers of sweets and chocolate*, personalised theme or colour coordinated tags with stylish handy napkins displayed in the very top of large 14" cone bags, making them vibrant and eye-catching for a personal touch at your child's special occasion. *chocolate is not advisable in hot weather. Adult events, gatherings and parties also catered for. Enquire today! 1. FILL OUT your party favour requests opposite & click SUBMIT. Payment can be made via credit/debit card or PayPal. 2. Once your order or quotation request has been placed you will receive your invoice or reply within a few hours. All prices are inclusive of VAT. Please order at least 2 weeks in advance. Last minute requests always catered for when possible. 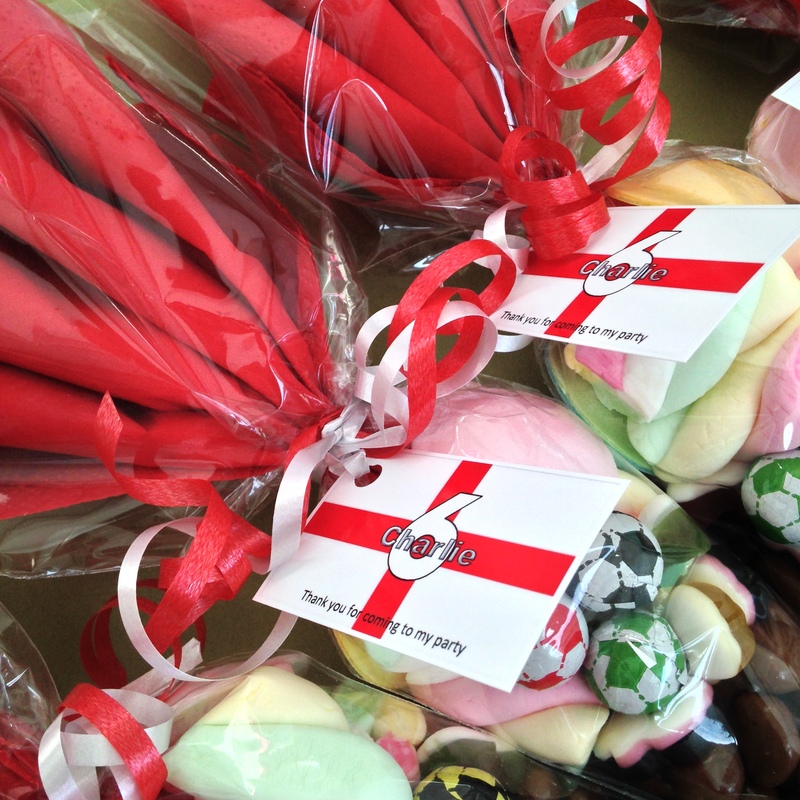 Please note Halal sweet cone's will be 20p more per cone as these sweets cost slightly more and are specially sourced. 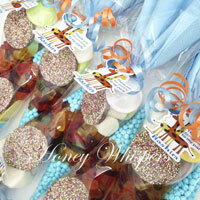 10 Children's sweet cone party favours. 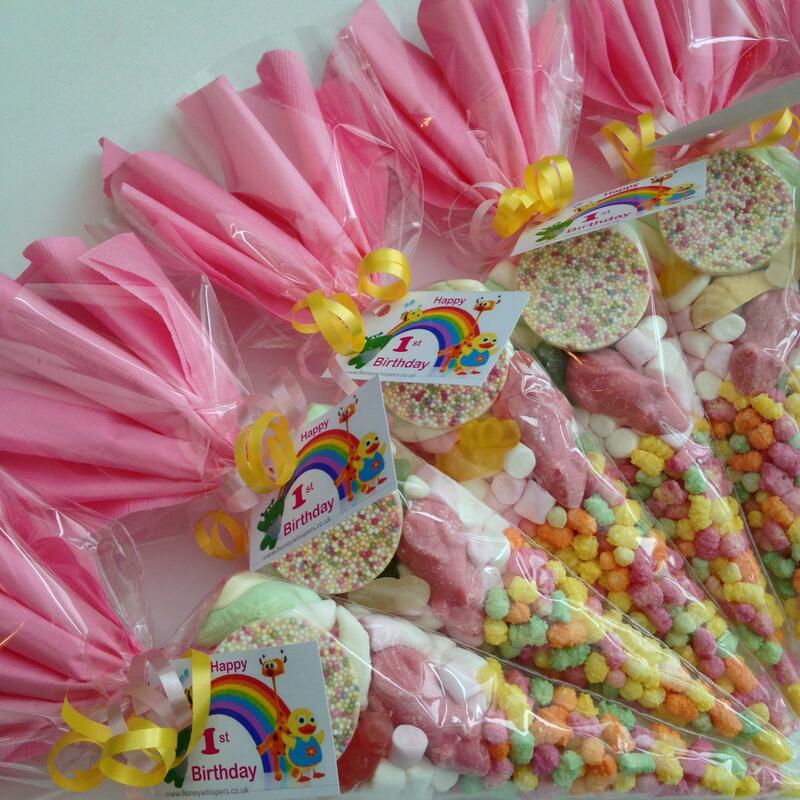 20 Children's sweet cone party favours. 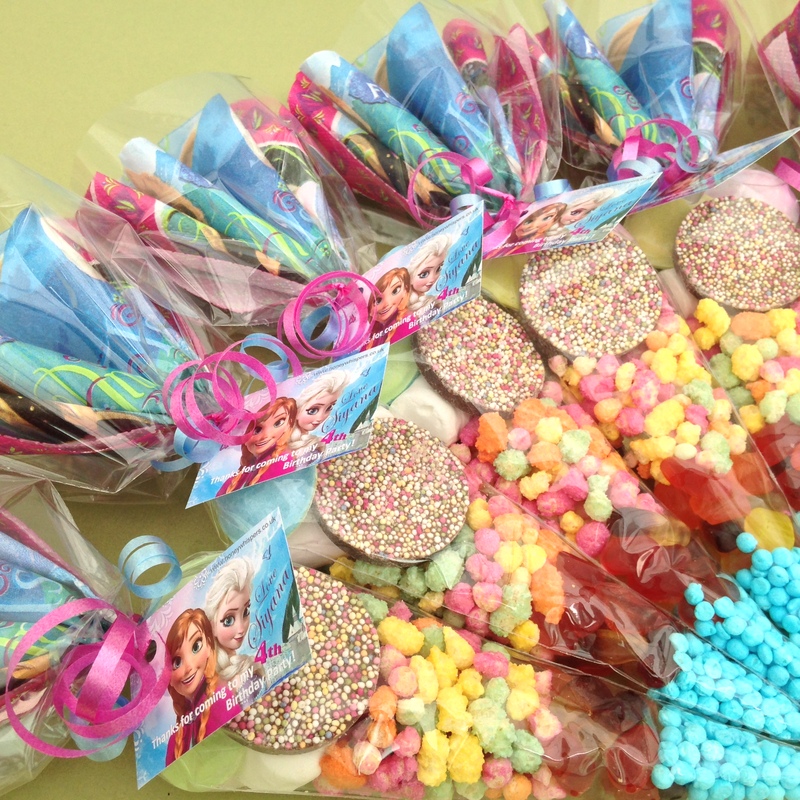 30 Children's sweet cone party favours. 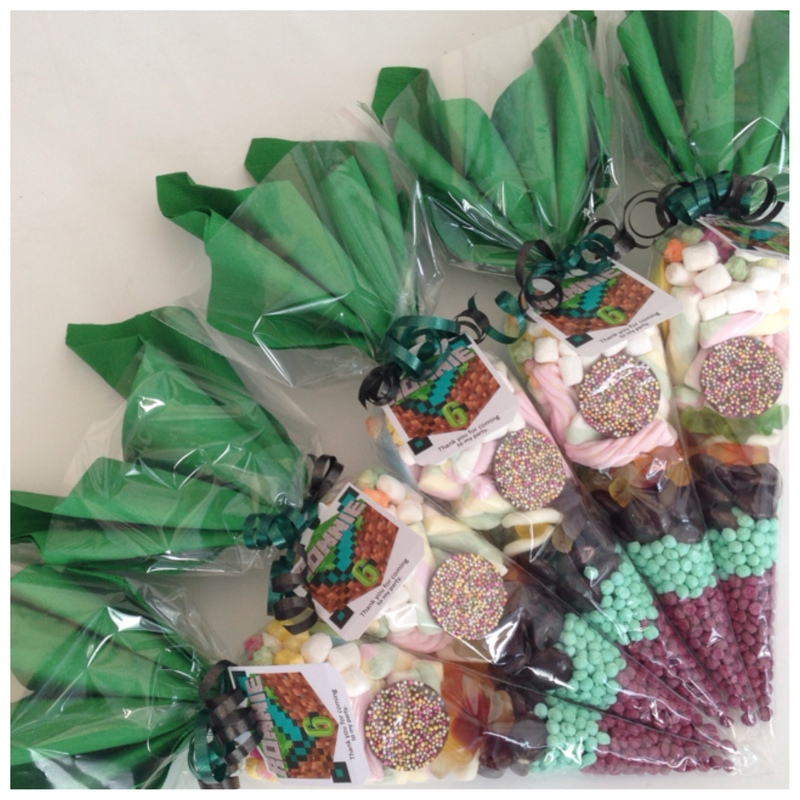 40 Children's sweet cone party favours. 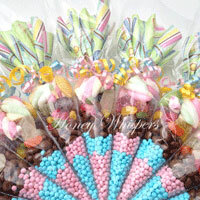 41 or more Children's sweet cone party favours are charged at only £1.35 each. Please message for a quotation with delivery before placing an order. Please message with any special dietary requirements. Please advise at the time of placing your party favour 'Order Request' how many party favours are for children 3 years and under as they will be catered for individually as part of your order. Place your party favour requests here. Are you local to Honey Whispers? Free local delivery on request or collect in person. 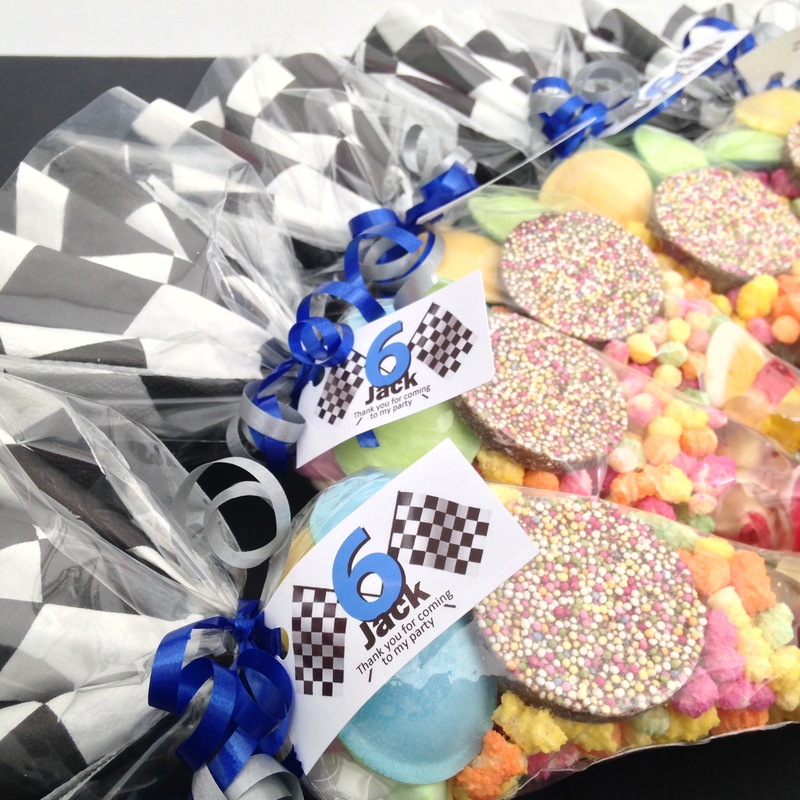 Are you looking for other party favours or accessories? Enquire here! Contact name Hello, my name is Sara. Who am I replying to please? My party favour details Date of party? Quantity? Theme or colour scheme? Tags details? other information. Special requests Any special dietary requirements. Contact details Email, sms, whatsapp, contact number. Order or Quotation? Please type ORDER or QUOTE. If placing an order please check that your email has been entered above.